Last week, 180,000 people descended on Las Vegas to see the latest in tech at the Consumer Electronics Show (CES). As advertisers and marketers, it's important to stay up on emerging tech—today's reveal at CES could be tomorrow's way for brands to make consumers' lives better, deliver messages or content, and build relationships. "Focusing on a specific technology doesn't plan for the future. If you're planning for the future and planning for that kind of change, you're looking to help provide a space of rest for a group that is overwhelmed. [...] It's much more about why you're doing it and what that technology can bring, rather than any specific application of the [technology]." Andrew Styer, Director of Product Strategy at KBS, reminded us that we shouldn't fall into the trap of chasing new technology for the sake of technology. To anticipate future ways to interact with our consumers, we should focus on the underlying need/problem the audience is facing, and then use new tech if it helps the brand solve that pain point. "That's the power we hold. Everyone in this room, as marketers, as leaders, but most importantly, as storytellers—we have the obligation to expose the world to those that they may never meet." Lisa Sherman, President/CEO of The Ad Council, shared a deeply personal story about hiding her identity as a gay woman for 17 years because she thought it would affect her career advancement. It took seeing her own coworkers' biases against gay people during a Diversity Training session for her to decide never to hide herself in any closet ever again. Sherman challenges all of us to be our true selves at work, and to use advertising as a way to expand people's minds like The Ad Council did with its Love Has No Labels campaign. (I'm not crying, you're crying). "We fear what we don't understand. And through time as changes have happened to our own industry, our initial reaction is, 'Oh my god, that's not going to work for us.' And then once you start to understand it and see the potential [AI and machine learning] can have on your business to potentially revolutionize something [...], I think people start to accept it." In our industry, we know very well about stereotypes and how to use them and enforce them. We use stereotypes because it's a shortcut, a quick way to convey a message. The problem is that there are very limited set of references that are given to people." Aline Santos, Global EVP Marketing & Head of Diversity & Inclusion at Unilever, explained the advertising and marketing industry's use of stereotypes—and the responsibility that comes with it. 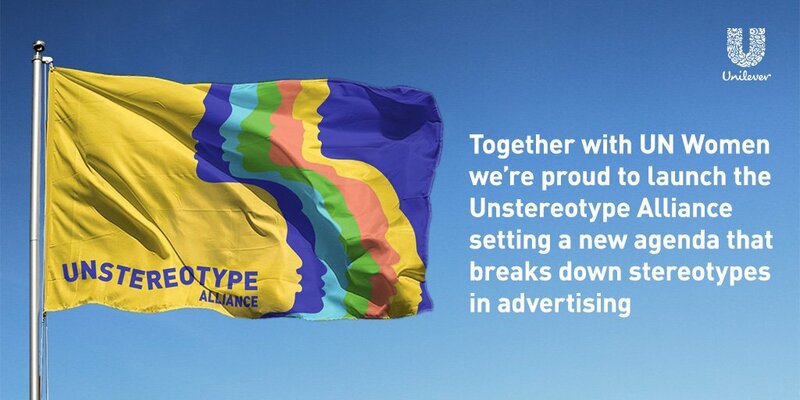 Unilever's #Unstereotype Alliance, an industry wide initiative with 24 other leading organizations to combat and eradicate outdated stereotypes in advertising, reminds us to think about how we portray people in our work, and not take for granted the effect our work has in shaping the references of others. In a sea of devices and robots, it was reassuring to hear conversations centered around humans. Sometimes it's easy to forget that ultimately, in tech and in advertising, we're just humans creating things for other humans.